Calendar - Order your hand-made holiday wreath today!! Calendar \ Details - Order your hand-made holiday wreath today!! Order your hand-made holiday wreath today!! 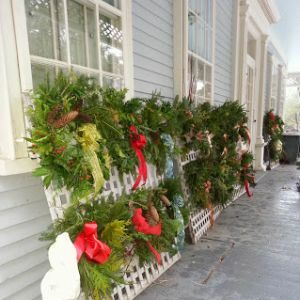 Once again this holiday season, the Wakefield Estate is taking orders for its popular hand-crafted, locally-sourced holiday wreaths. The wreaths are 18-30 inches in diameter and can be hung or used as a holiday centerpiece. The deadline to order a wreath is Friday, Dec 1; order by calling 617-333-0924 x22. 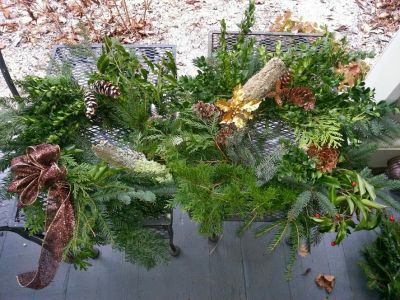 Wreaths will be available for pick up at the Wakefield Estate (1465 Brush Hill Rd in Milton) during the week of Dec. 4-8. The wreaths are $35-$50; all proceeds benefit the Wakefield Charitable Trust's educational programming and Bus Fund.